Looks like Carbonite is in the news again, this time their CEO is up for an award. Interesting to hear about. Want to know more about Carbonite online backup? Read our complete Carbonite Review for more information. BOSTON, May 31, 2011 /PRNewswire/ — Carbonite Inc., a leading provider of online backup solutions which provide customers with “anytime, anywhere access” to their stored files, today announced that David Friend, the company’s CEO and co-founder, is a finalist in the Information Technology Executive of the Year category for The 2011 American Business Awards. The American Business Awards are the nation’s premier business awards program. All organizations operating in the U.S.A. are eligible to submit nominations ‚Äì public and private, for-profit and non-profit, large and small. This year’s Stevie Award winners will be announced during the annual gala on Monday, June 20 at the Marriott Marquis Hotel in New York City. More than six-hundred executives from across the U.S.A. are expected to attend. The event will benefit Camfed (camfed.org), which fights poverty and HIV/AIDS in Africa by educating girls and empowering women to become leaders of change. The ceremonies will be broadcast on radio nationwide by the Business TalkRadio Network. Carbonite introduced its online backup solution in 2006. In 2010, Carbonite was ranked the ninth fastest growing private company in the U.S. by Inc. Magazine in its Inc. 500 list, and Friend was named as the Ernst & Young Entrepreneur of the Year winner for New England in the Consumer and Small Business Emerging Technology category. Finalists in more than 40 award categories were chosen by business professionals nationwide during preliminary judging in April and May from more than 2,800 nominations from organizations of all sizes and industries. Stevie Award winners will be selected from among the Finalists in each category by members of 10 specialized final judging committees. Details about The American Business Awards and the list of Finalists in all categories are available at www.stevieawards.com/aba. Carbonite is a leading provider of online backup solutions for consumers and small businesses. More than 1 million subscribers in over 100 countries rely on Carbonite to provide easy-to-use, affordable, unlimited and secure online backup with anytime, anywhere data access. Carbonite’s online backup solution runs on both the Windows and Mac platforms. The company has backed up more than 100 billion files, restored more than 7 billion files and currently backs up more than 200 million files each day. 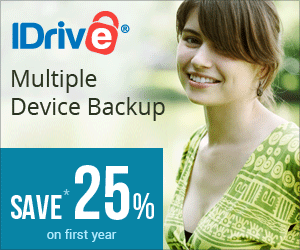 For more information, please visit www.carbonite.com, twitter.com/carbonite, or facebook.com/CarboniteOnlineBackup.